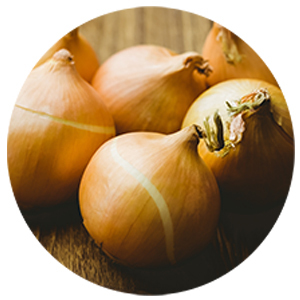 Order from an incredible range of global fruit and vegetable supplies. Fill in the form on the right or call 01704 540 400 now to speak to one of our suppliers. We have an enormous range of fresh fruit and vegetables available for commercial enterprises under the Nationwide Produce banner which have been a huge hit with our customers. 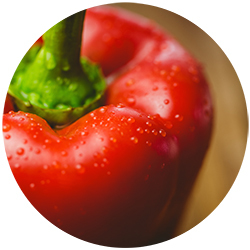 As fresh fruit and vegetable suppliers we’re able to source incredible Class 1 ingredients form around the world. Whether you’re a local café, a market trader, or a large chain of restaurants looking to secure the absolute best in produce our team is able to provide you with the freshest fruit and veg, as well as exotic products from countries across the globe. Our range of produce means you’re limited only to your imagination when you use us as your fruit and vegetable supplier. As well as our incredible Red Delight vine tomatoes grown across Europe all year round we can provide you with variety form our Fresh Delight range including lettuce, cucumbers, cherry vines, and much more besides. But for the adventurous our range of exotic fruit and vegetables from our Vitaal division sources incredible produce from around the world including the finest garlic, chillies, limes, passion fruit, mange tout, fine beans, sweet potatoes, and a broad range of other fruit and veg. As well as working closely with our growers and suppliers we like to work with our clients as fruit and vegetable suppliers, to build strong relationships with customers that are looking to grow their businesses with fruit and veg that’s of a higher quality than our competitors. “Our relationship with Vitaal Europe has enabled us to penetrate the UK market by utilising their extensive customer base and excellent logistical services. Fresh, seasonal fruit and veg really makes a difference, and our friendly knowledgeable team want to work with you to deliver the very best produce to you throughout the year. Our farming operations run on a global scale, all for the benefit of providing excellent fresh ingredients for our customers. We want to act as more than just suppliers for your business. We work tirelessly to ensure that all parts of our business are optimised for the benefit of the customer. Especially when it comes to management; our team are always on hand to provide you with information and advice to make the most out of your purchases. Finding the right supplier isn’t just a case of finding affordable prices. It’s about building strong relationships with a company that can help you grow. Finding the right suppliers has also been key to our growth since we were established in 1975, and it’s helped us to source only the most incredible fruit and vegetables across the world. Whatever you need fresh fruit and vegetables for, whether it’s packaging your own products or making incredible creations in the kitchen for local customers, our commitment to excellent produce will filter down to your business and help you make a real positive impact on your own customers and community. Call 01704 540 400 now to speak to one of our fresh food suppliers.